Richard Pak, an assistant professor of psychology, has received a $50,000 gift from Google to study how older adults navigate the Web and what Web site design features make searches easier. The grant will fund an extension of his research on aging and technology. That is, older adults seem to perform better using so-called “tag-based sites,” which are Web sites that organize their information around frequently used keywords. Pak said that while tag-based sites are still relatively new, several popular sites use tags. These include Amazon.com, Gmail.com, and the photo sharing Web site Flickr.com. The recently published paper, “Designing an information search interface for younger and older adults” appears in the latest issue of the journal Human Factors. First thing every morning, Lynn Pitet, of Cody, Wyo., checks her computer to see whether her mother, Helen Trost, has gotten out of bed, taken her medication and whether she is moving around inside her house hundreds of miles away in Minnesota. 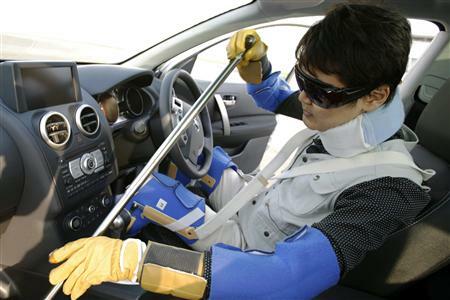 Carmaker Nissan Motor is using a specialized driver’s suit and goggles to simulate the bad balance, stiff joints, weaker eyesight and extra five kilograms (11lbs) that may accompany senior citizenry. Associate chief designer Etsuhiro Watanabe says the suit’s weight and constriction help in determining functionality and accessibility within cars by putting young designers not only in the minds of the mobility-challenged, but also in their bodies. Q: You discuss a united American front in your book. What healthcare platforms do you think Americans will unite around? A: “… This system will have three characteristics, none of which are present in today’s system…. It will make use of information technology. Paper kills. It’s just that simple. With as many as 98,000 Americans dying as a result of medical errors in hospitals every year, ridding the system of paper-based records and quickly adopting health information technology would save lives and save money. We must also move toward e-prescribing to drastically reduce prescription errors. Newt Gingrich is a powerful man. I am glad he is comfortable with and encouraging of technology. Me too! However, I am terrified of the assumption that information technology systems are inherently better or less error prone than paper systems. 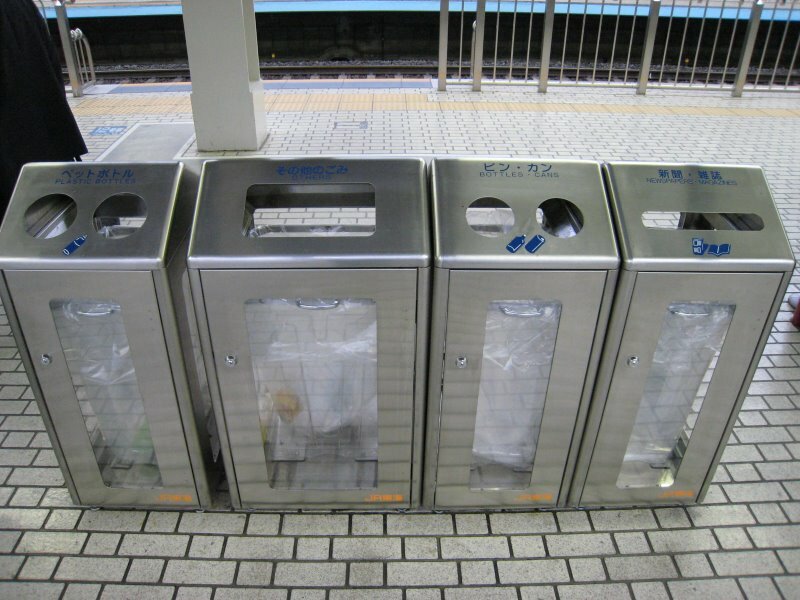 “Paper kills” is a nice, tight tag line that people are bound to remember. Is it true? My earlier post on Paper Protocols saving lives and dollars in Michigan says otherwise. So does research in the context of medical adherence. Linda Liu and Denise Park (2004) identified a paper system as one of the most effective tested when it comes to diabetics remembering to measure their glucose. “Oh, it wouldn’t be blind,” one might say. I hope so, but a blanket statement such as “paper kills” doesn’t give me confidence. Paper doesn’t kill, bad design does. 3. How to best design for each. Paper isn’t going away, folks. Liu, L. L., & Park, D. C. (2004). Aging and Medical Adherence: The Use of Automatic Processes to Achieve Effortful Things. Psychology and Aging, 19(2), 318-325. With recent tragic events in the United States, there has been pressure for many University campuses to install emergency alert systems. These systems notify students, faculty, and employees of emergency events via email or mobile text messages. Your safety is our paramount concern, so please go to [website] to see instructions to complete the process. You will need to find the checkbox labeled “text message” to receive the CU safe alerts on your phone. We apologize for this confusion and hope to make the sign-up process simpler in the future. I thought this was unusual because when I initially signed up, the process did not seem overly complicated. To be sure, it was not intuitive, but not complex either. I was certain that I configured the system to send email and text alerts. I guess I was wrong (along with a few other people). I suppose it has to do with some kind of cost-benefit analysis. Why pay for a system that only handles emergencies when we can extend it to general purpose messaging? For a future post, I should talk about our new warning sirens (which I cannot hear from my office, unfortunately). Satellite navigation devices have been blamed for causing millions of pounds worth of damage to railway crossings and bridges. Network Rail claims 2,000 bridges are hit every year by lorries that have been directed along inappropriate roads for their size.